I’m one of those annoying people that start getting excited about christmas really early, like in August – but on the other hand I’m also pretty disorganised when it comes to presents, and often seem to end up buying them in a panic right before the day, which is exactly what’s happened again this year… clever me! I’ve always been a fan of Christmas, but it seems that as you get older, people say it’s not as special or exciting as it once was – and I completely disagree. Now we have Freddy, Christmas really is just the best thing ever! He’s four and a half now, and he’s SO excited. 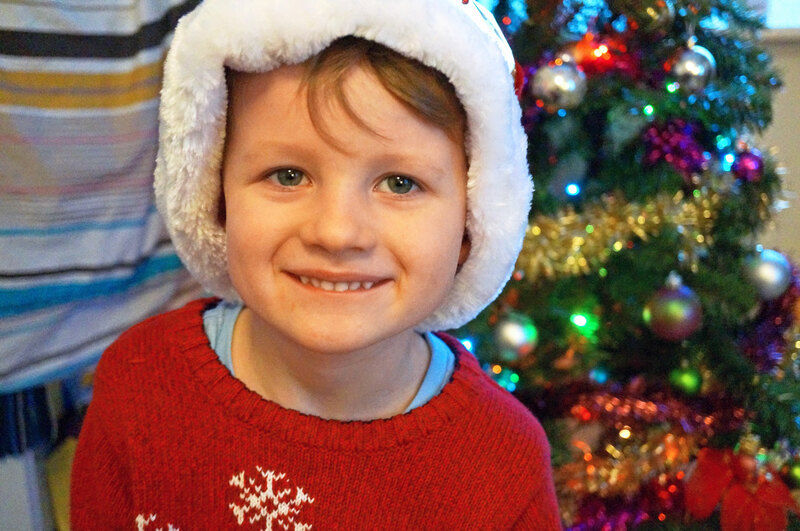 This is the first year that he really understands what’s going on, and every day for the last couple of weeks he’s been asking ‘Mummy is it Christmas yet?’, ‘Is it Christmas yet’, ‘MUMMY IS IT CHRISTMAS?’ He has been driving me slightly potty, bless him. 2. Winter walks. There’s nothing like a nice walk on a chilly winters’ afternoon to blow out the cobwebs – which is often necessary after the mass of food and drink consumption. I was intending to put a nice little photo in here but my camera is playing up (again) so I’ll have to add this at a later date. I often find it difficult to find or allow myself the time to take walks normally, as I’ve been so busy, so I’m really looking forward to getting out and about over the festive season with my family. 3. Catching up with friends and family. It seems the older we get, the harder it is to get together with friends and family. With friends all starting their own families and work shifts and life, there’s always something that gets in the way. It’s hard getting people together and arranging everyone. I love that everyone has even a bit of time off over Christmas though, and I’m really looking forward to catching up with my friends for a drink and a goss. 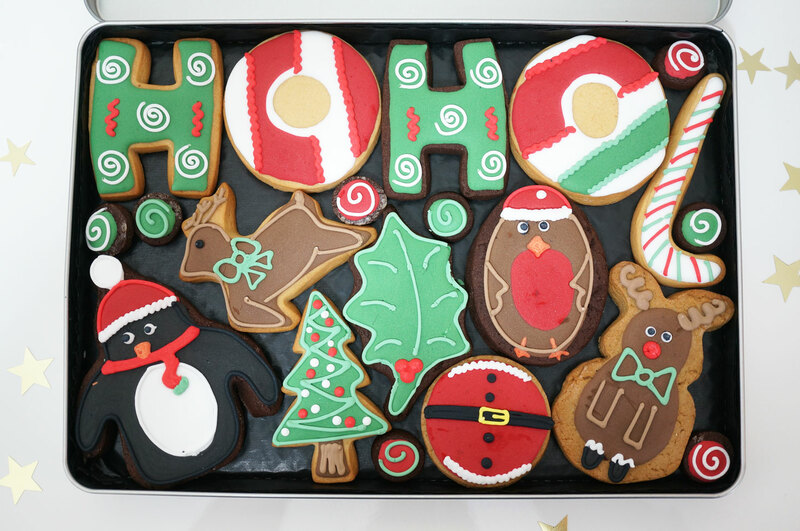 I’ve been stocking up on Christmas treats too, and as I do have a bit of a sweet tooth,this Ho Ho Cookie Gift Tin is just Christmas in a tin for me! This gorgeous selection of hand decorated cookies are just stunning to look at, as well as being tasty (I’ve tried a couple, just to make sure they’re ok, you know?) You can also have one of them personalised and include a special message on the gift tag if you wish. I can’t wait to see Freddy’s face when I show him these! 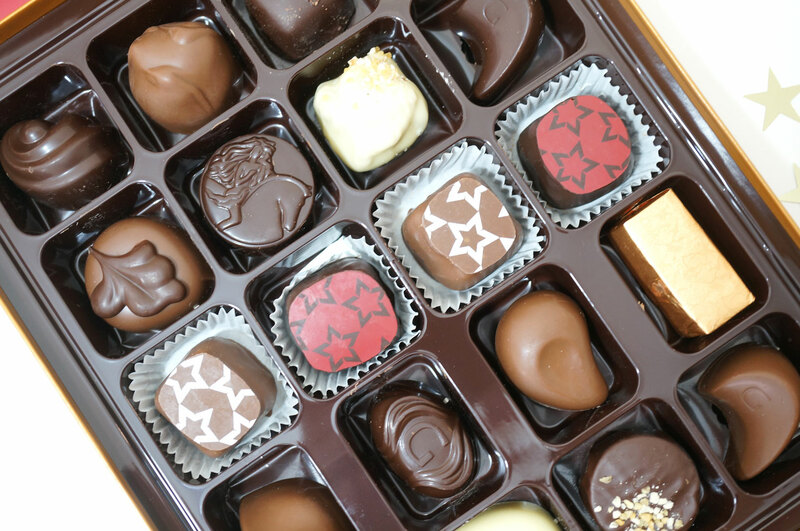 And I may have been snacking on these gorgeous Godiva Chocolates already too… this carefully selected white, milk and dark assortment of Belgian chocolates, including signature chocolates and the new winter varieties; fruity dark chocolate and raspberry, and a rich milk chocolate ‘Vanuatu’ ganache, are just SO GOOD. I’ve officially been converted to Godiva! And while we’re on the subject of food, I’ve also been reading this Oh Come All Ye Tasteful book (again, apologies for the stock photo, I’ll update this with my own asap!) 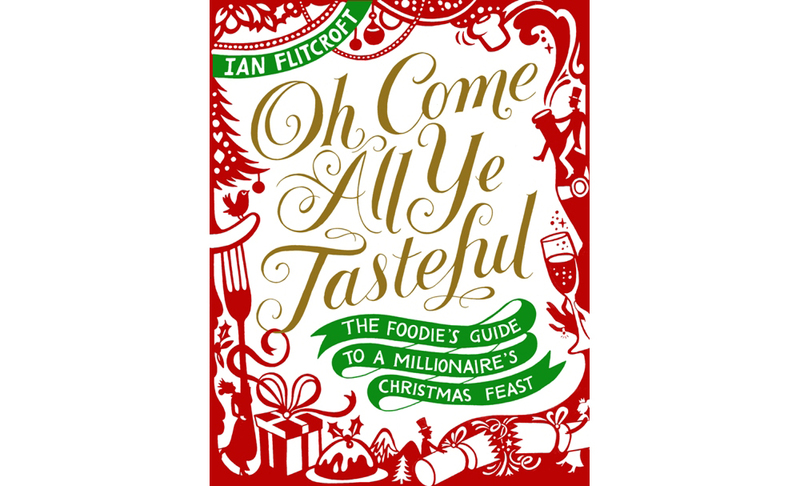 which comprises of a mixture of hilarious commentary and recipes to help you celebrate the festive period like a King! With recipes like truffled turkey, brussels sprout petit fours and reindeer nibbles this guide to the festive period is perfect for the foodie in your life. I’m going to try to make at least one of the recipes over Christmas. I’d love to hear what you love most about Christmas? Christmas: The You Beauty Advent Calendar SPOILER!